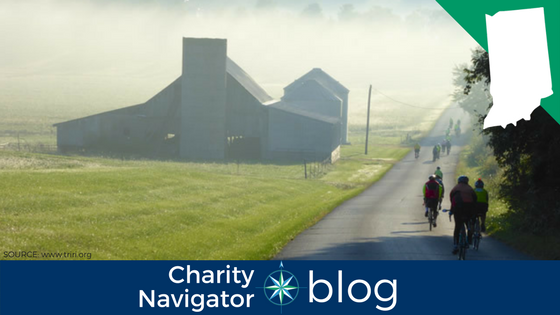 Each week, Charity Navigator features a few of the highly-rated organizations serving the people and communities of one of the 50 states. Last week, we looked at some of Illinois’ top charities. Today, we’re heading due east to Indiana, the Hoosier State. Settled in the midwest, Indiana is home to rolling hills and lots of farmland. The state is part of the Great Lakes region and touches Lake Michigan at its northwest border. Learn more about this unique state and a few of the highly-rated organizations who call it home. The Evansville Museum provides various services to the community consisting of educational programs and exhibits, planetarium shows, classes for elementary school children, and tours for interested groups. One of Southwestern Indiana's most established and significant cultural institutions, the Evansville Museum is a general museum with comprehensive collections in art, history, anthropology and science. Paintings and graphic works from the 16th Century to the present are prominent features in the Museum's permanent art galleries. On the grounds and terraces of the Museum, visitors may view contemporary and traditional sculpture. The Damien Center provides comprehensive services to approximately 1,300 persons living with or affected by HIV/AIDS in Central Indiana and actively advocates for just and compassionate responses to their needs. Necessary client services such as case management, housing and employment opportunities as well as client enrichment services such as client events and support groups help clients move forward in their lives with dignity. The Damien Center's prevention department provides HIV/STD testing, comprehensive risk counseling and outreach education. Heartland Film is a nonprofit arts organization founded in 1991 with the mission to inspire filmmakers and audiences through the transformative power of film. Heartland Film is a curator and supporter of purposeful filmmaking, honoring a wide variety of cinema and awarding storytellers from all over the world. The films we select and exhibit – whether they inspire and uplift, educate and inform, or have the ability to shift audiences' perspectives on the world – all have one thing in common: they are entertaining films that do more than just entertain. Heartland Film is comprised of four main program areas: Heartland Film Festival, Truly Moving Picture Award, Heartland Film Roadshow, and Heartland Film Institute. You can use Charity Navigator’s Advanced Search Tool to find even more highly-rated organizations serving the people and communities of Indiana.